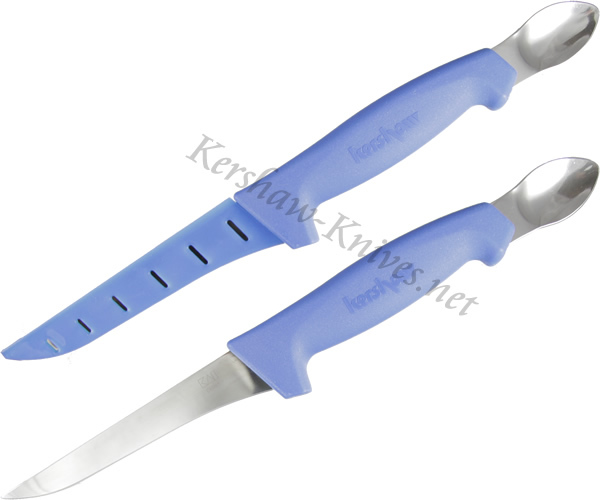 The Kershaw Pro Grade Spoon Handle Knife 1281 is designed to quickly gut, clean, and process fish. The 420J2 steel resists rusting and corroding. The handle is a lightweight, ergonomic design that is specially coated to be slip resistant. The Kershaw Pro Grade Spoon Handle knife is a comfortable tool that will allow you to experience greater usage with less hand fatigue. It comes with a vented blade cover.